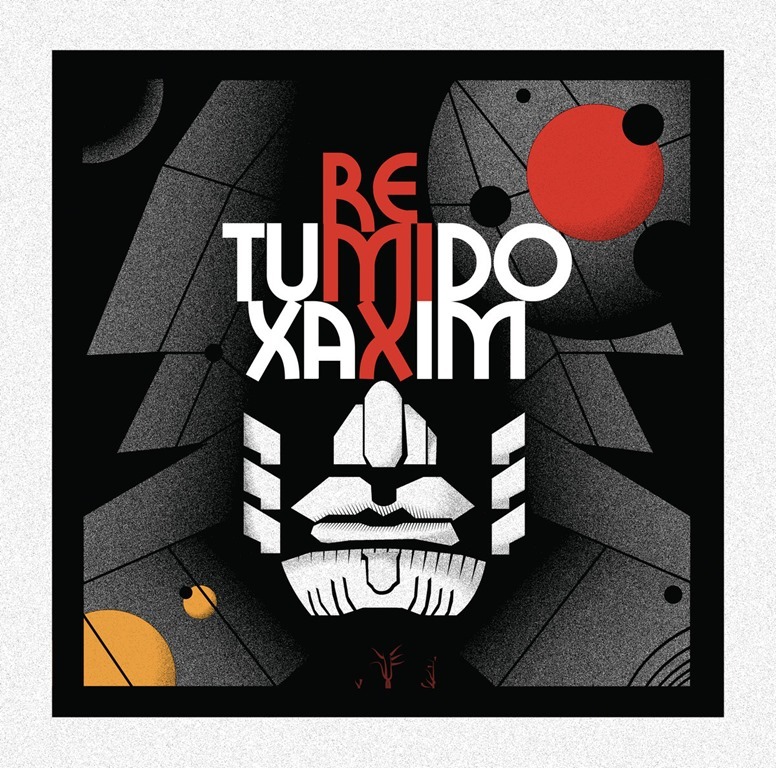 Two years on from the release of the album Nomads, Tumido return with xaxim – an EP of remixes of the track from Nomads. That’s two years to assemble four remixes, one of which they’ve done themselves. There’s nothing like working at a leisurely pace. Was it worth the wait? Nik Hummer’s remix goes for the slow build, shuddering bass throb and flashing electrode treble rumble for an eternity, building tension and expectation. It’s three minutes before the bumping beats slide in and kick out a devilishly low-down groove. Stefan Nemeth strips it back to a bare bass loop, all subsonic tones and burred edges, grinding out a monotonous yet majestic dirge. The Buenventura remix offers some relief, with an uptempo, beat-led reinterpretation. Hectic rhythms bump hard, and the bleepy analogue synths over the top have a classic vintage vibe about them. The tracks builds and expands, layering up and growing in density until it obtains an optimum groove. Tumido’s own reworking is perhaps the most radical of all, accentuating the darker tones with elongated, organ-like drones which swell and crackle with overloading low-end frequencies. Rippling waves of metallic-edged sound tear through the deep, wide expanse to create a vast swathe of pulsating sonic space. It’s a towering display of magnificence which ends abruptly and rather disappointingly. Was it worth the wait? For the final track alone, yes.